As far as games go, our biggest hope for 2010 is BioShock 2. Sequel to the amazing FPS about a man who ends up in an under water metropolis, only to discover that it has a history and has been condemned to violence. The evil that lingers beneath the ocean is too terrifying to imagine. 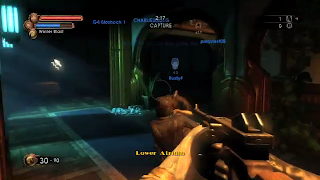 The first BioShock was so much fun to play. The story was full of twists and turns, and depending on your actions you'll get one of three endings when finishing the game. BioShock is simply amazing, and we have high hopes for the sequel. In BioShock 2, you play as the very first Big Daddy. 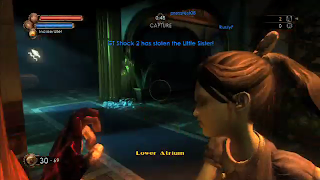 We don't know much about the story other than that you have search through Rapture once again, encountering the Splicers (who at every turn try desperately to harm you and steal Adam) and Big Sisters. 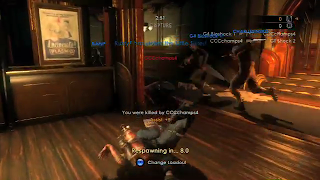 BioShock 2 has a new feature, which is online multiplayer. The story to the multiplayer is that it takes place before the first game, where you play as civilians testing out some rather neat products that enable you to test out weapons and powers against each other. Use the ice plasmid to slow down your enemies or light them on fire for additional damage. 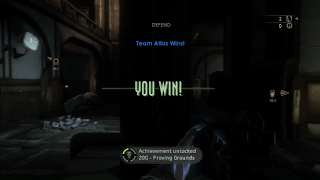 You have your standard deathmatch and team deathmatch modes. There's also a territory mode where you have to capture certain parts of the map. The mode that really grabs out attention is the "capture the flag" style mode called "capture the sister" where instead of going for a flag, each team has to grab a little sister. We have yet to try out this mode, but on video it looks so much fun! I still can't get "the girl is ours!" out of my head. The multiplayer aspect of BS2 doesn't look as rewarding or expansive as Modern Warfare 2, but for fans of BioShock it's a great excuse to not buy a new games for six months (maybe even longer). We hope the return to Rapture will be as rewarding as the first trip.